PGS Plumbers have grown to become one of the most trusted and established plumbing and heating companies in the area. 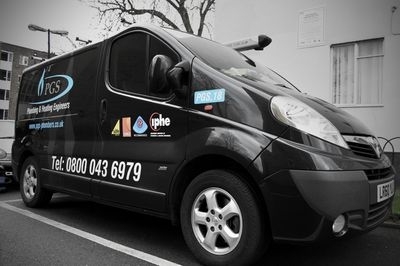 Our first class team of skilled and experienced plumbing engineers serve London residents with high quality plumbing work and a fully guaranteed service. If you’re looking for reliable and experienced plumbers in the London area to tackle anything from fitting a brand new central heating system to fixing a leaky tap, you need look no further than PGS Plumbers. All of the plumbing engineers at PGS are thorough professionals - fast, friendly and efficient. We pride ourselves on providing customers with fantastic plumbing services and superb value for money, which ensures they come back to us for all their future plumbing needs. In order to give our customers total peace of mind, all the work we carry out is covered by our guarantee. Our engineers always complete a job sheet for every customer, this serves as your record of work that has been carried out and your guarantee. We aim to complete every job to your total satisfaction and our office based team are always available to take your call. If you experience further problems we’re just a phone call away. With local engineers on the road in your area we’re ready to respond to your call immediately. When you call us you will speak to a member of our scheduling team who is aware of the exact location and status of each and every engineer. With this information they can give you an accurate estimation of when we can get to you, and at the same time provide pricing information for your specific job. Our plumbers are highly qualified and most are Gas Safe qualified engineers which is essential for certain types of gas plumbing and heating work. You can always rely on PGS Plumbers for honest, professional advice on plumbing issues. We can also guide you through the legislation that surrounds installing and maintaining safe gas appliances for your home. Whatever the nature of your plumbing requirements, PGS will be with you in the shortest possible time with our trademark quality of service and value for money. It is for this reason that many homes rely on the superior service provided by PGS Plumbers.